Days ago published... Possibly some rather iffy submissions? Thanks, will go through them. And yeah, I noticed the Emerek ones. Those were definitely Engine installation date. 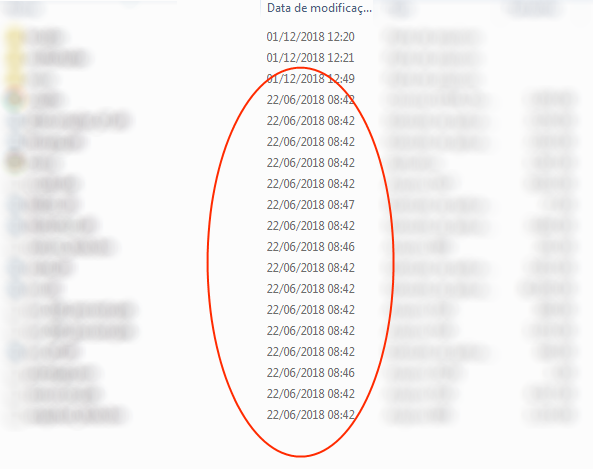 I checked a few entries from the same engine (which you can tell from the icons in your screenshot) and it appears that the build method most commonly used involves copying files rather than writing them, which preserves the date the OS believes it was last "modified". That said, the other entries I looked at didn't have the modification date preserved for the subfolders, which still makes that game suspicious. I suggest trying to open any folder named "data" or "icon" (I'm not saying the one I have in mind since you seem to want the engine to not be specified). If that still has all the dates being outside the contest window, then that'd be reason for concern.